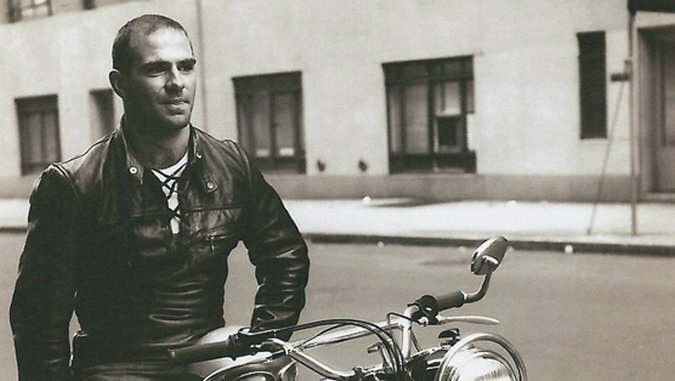 One may read Oliver Sacks’ new autobiography with a regrettable and premature sense of sorrow. A column by the celebrated and accomplished neurologist from last February detailed the discovery of a terminal liver cancer, with only months to live. That now serves as a somber, auxiliary preface to this otherwise ebullient telling of a remarkable life. Sacks assuredly outshines that sorrow with On The Move’s engaging narration and its easygoing frankness while unpacking personal details and some fresh insights gained from his earliest case studies. Indeed, it is the sympathy with which he perceives the various encounters, experiences, the various people and patients, that gives his writing voice such a glow. The poet Thom Gunn told him as much, after reading his most famous work Awakenings, writing to him in a letter (published in Move,) that his sympathy “…is literally the organizer of your style…and is what enables it to be so inclusive, so receptive, and so varied.” Mr. Gunn sums up the experience of Move, also. Quite succinctly. On The Move portrays the young man as bookish as he is virile, fueled by an adventurous hunger not just for the knowledge, but also an adventurous side eager to experience life to its fullest, to explore, to fall in love, to fully actualize himself and, above all, to write. This is the story, illuminated especially by revealing diary entries and the exchanges of letters between family and colleagues, of how he gained his famous intellect and honed his nuanced intuitions about the workings of the human brain that we all know him for, today. The bulk of On the Move covers Sacks most formative years, from the early 1950s through the late ‘60s. We find this young scholar at his home in North London, realizing that he’s in the middle of a “brain drain,” with scores of talented, intelligent young people “leaving the nest” of England for America. He was raised by a physician father and surgeon mother and expectations were sometimes unsympathetically high for him. We follow Sacks in his trip across the pond to Vancouver and, soon after, to San Francisco, where he begins a residency at Mt. Zion Hospital. He attained his green card in early 1961, around the same time he got his first proper motorcycle, a BMW R69. Propulsion is implicit is numerous aspects of his life, detailed in this book. He is driven, driven to learn, to read as much as possible and write just as much. He is driven to experiment, to hypothesize and to figure out the range of complex neurological disorders demonstrated by some of his earliest patients. He is driven by positives and negatives, both improving his body, (we see the athletic young Sacks set a California state weightlifting record at Muscle Beach) and driven, disconcertingly, to ruining his body (as he details his years-long addiction to amphetamines and liberal experiments with other hard drugs, like LSD). The open road is an irresistible metaphor to summarize his journey; this potent, ponderous young man jetting forth on his motorcycle, toward the horizon, progressing to a consulting position in the Bronx, eventually rising to serve as an instructor at the Albert Einstein College of Medicine. As he progresses, he occasionally finds dueling influences: two surgeons he assisted at Mount Zion Hospital in San Francisco, one was “unhurried, judicious,” the other “passionate, intense.” Sacks has always been fascinated by these “partnerships,” such as when he studied chemistry and read about Kirchhoff and Bunsen and the collaboration of their very different minds. Sacks, the motorcycle-riding physician, as he grows, learns and achieves, is often straddling this middle ground, speeding forward, like two sides of the road to his left and right, two different yet collaborative schools of thought to consider, as he forges ahead, not propelled toward some middle ground, but his own path, rather, with each perspective on each side informing him, in balance. What does he attain or discover on this journey, from institution to institution, syndrome to syndrome, patient to patient… his sympathy. Move is as much about the people and the patients he encounters, their lives, as much, as it is about his own life, if not more so. This is a story of studying and responding to the unique souls he encounters and how they, subtly or substantially, shaped his own; between the personal and the professional, both sides of the road.